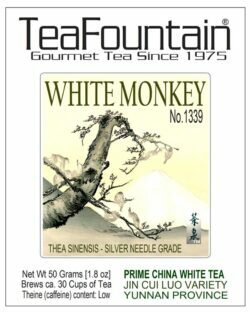 Four White Tea Treasures | Hand-crafted Tea Art | Antioxidant-Rich | Four varieties of hand-crafted tips (silver needles) from the Thea sinensis and whole jasmine blossoms from the Tai Mu hills in the Fujian Province in Southern China. These small knots and balls are Tea Art pieces with an intimate and mild white tea flavor, carrying a subtle hint of jasmine. The buds and leaves are picked only a few days a year. The gentle ‘steaming & drying’ process in the open air allows to create its sweet and fresh aroma and soft taste. Hand-crafted and rolled Silver Needle, prized for its delicate flavor. 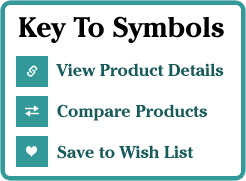 Suggested Water Temperature: 170 F – Suggested Infusion Time: 5 Minutes – One serving makes two infusions. 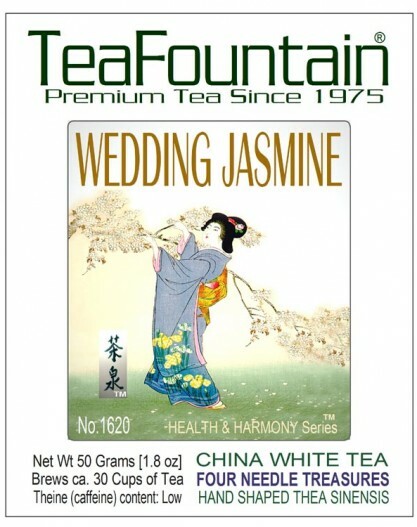 Culinary notes: Because of its fresh and lighter white tea character this Wedding Jasmine Tea may be offered as a choice with light foods, vegetarian, macrobiotic or vegetable recipes and special desserts including fruits and lighter cheese selections. Suitable as High Tea selection. Tea Station & Tea Fountain Custom Designer Blend. Mature Estate Quality. 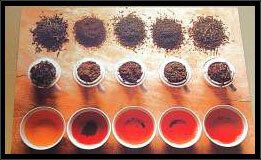 To explore other TeaFountain Jasmine tea selections please click here. 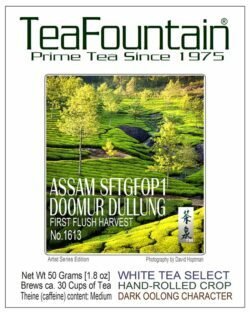 Ingredients: Fine jasmine scented Whole Leaf White Tea from the Tai Mu hills/Fujian Province in Southern China, and jasmine blossoms.